Gregory Stone, Esq. 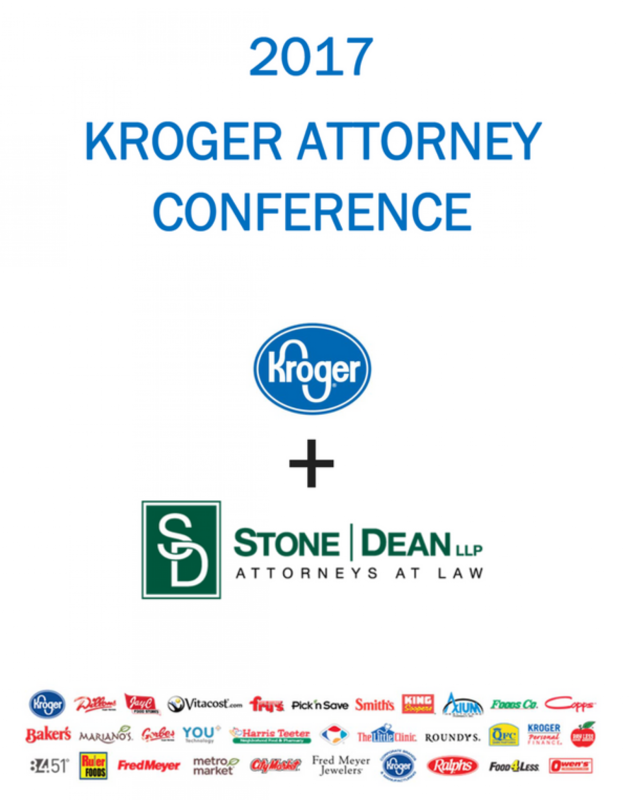 traveled to Cincinnati, Ohio for the Kroger Attorney Conference, sponsored by Stone | Dean. At the conference, Greg presented alongside fellow Kroger Counsel in a panel aimed at combating “Reptile Lawyer” tactics. The question-and-answer panel was prefaced with a presentation by attorney Matthew Moffett and Bill Kanasky from Courtroom Sciences. Other panelists alongside Mr. Stone included attorneys Mary McBride, Chris Moore, Donna Peavler, and Trent Spurlock. We’d like to thank everyone involved in the presentation & panel which was approved as an MCLE Course for CA attorneys. The conference concluded with awards to recognize Kroger attorneys who have exemplified excellent work on behalf of their brand. 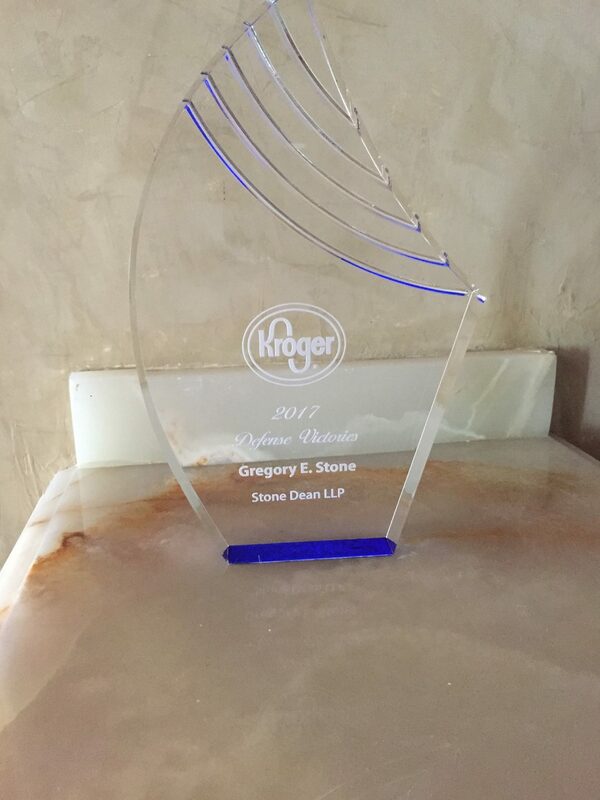 Gregory Stone was honored to be recognized for this Defense Victories in cases involving Kroger stores. Greg is proud of his longstanding and successful relationship with Kroger, and will display the award in his office with admiration. © Copyright 2018 Stone | Dean LLP. All Rights Reserved.